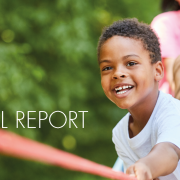 Our new Annual Report is out now! Let’s take a tour through the diverse and numerous solutions we identified and promoted during 2017. This Annual Report looks back at our impact in 2017 and shows, yet again, our supporters’ strong commitment. 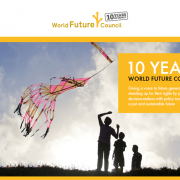 2017 marks the 10th anniversary of the World Future Council. As we look into the future – to new challenges and opportunities – we want to take a moment to celebrate the impact and success of the past decade. Climate change, the destruction of the environment and continued wars are just some of the signs that today’s civilization is living at the expense of future generations. We can and need to initiate an orderly transition to a regenerative, resilient and flourishing future.